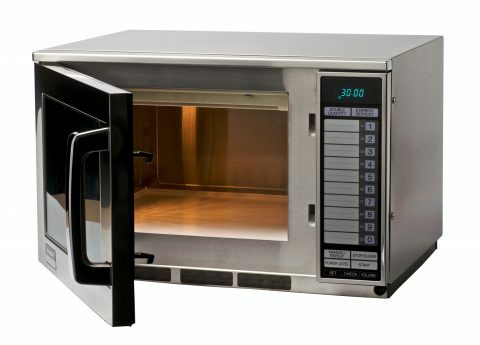 The Sharp R-22AT commercial microwave has 1500W output power and a durable stainless steel finish. It has twin stirrers for even cooking and is stackable two high. It is designed for smaller, repetitive but heavy duty use, having a 20 litre capacity and 20 quick access memory settings. This includes pubs, smaller restaurants and hotels with room service. It can quickly reheat frozen meals or steam fish or vegetables using the twin stirrer fans for even cooking. It has an express defrost feature and a quick access double quantity facility. This touch control model is equipped with a counter check feature. This means at the end of the shift or working day it is easy to identify which dishes were cooked the most.